"Websites To Watch Movie Online With Fabulous Sound And Graphics"
I am telling you name of some websites. These websites serve ads to subsidize the cost of free online movies. 1. Google Videos: The site is owned and maintained by Google. It acts as a feeder to video content from sites like YouTube, MovieWeb, DailyMotion, etc. It provides a large number of documentaries and full-length independent movies. 2. YouTube Box Office: The movies available on this site include name such as Band Baaja Baarat, Bheja Fry 2 and 3 idiots along with over 200 other movies. Additionally a user can sort between high/ low quality and long/ short films. 3. Internet Archive: This site offers a number of free open-source, free-to-download movies and stream videos. The best thing about this site is that one can filter movies based on language. Some of the languages available are English, French, Italian, German, Swedish, Japanese, Chinese and Arabic. 4. 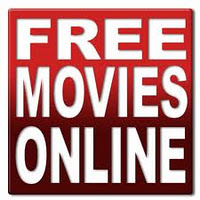 Open Culture: This site provides link to more than 380 free online movies and open source movies. Additionally it also provide movies for which the copyright has expired. The site is not hosted directly. 5. Yahoo MoviePlex: This site looks promising for future being from the Yahoo castle. Right now the database is limited to only eight Bollywood movies. 6. Free Documentaries: Apart from movies there are some sites that offer something for documentary fans. This site gives the user a choice to either watch or download a documentary from a number of documentaries. One can filter the documentary to be watched by topic, title or region.